I loathe spiders! I know, I know...if it weren't for spiders the Earth would be taken over by mosquitoes, well, that just doesn't change anything for me. The only thing worse than a big hairy spider for me is a centipede, super fast, waaaay too many legs and I'm fairly certain that when I try to kill one and I miss, it runs and gets its' posse of centipedes to haunt me. I digress. I do what I consider to be a mini unit on Spiders the first week of October. I wish it could be longer, but there are just too many fun and amazing things to do in October, plus the landscaping in the front of our building is usually full of cool spider webs and creepies at the beginning of the month. Teaching my little Hoppers about Spiders is always fun. #1- other than the handful of non-fiction books, the rest are so darn cute! #2- The projects, books, and worksheets we complete are all pretty cute, as well. #3- I LOVE, LOVE, LOVE watching my cuties get so excited as they sing There's a Spider on the Floor or do The Itsy Bitsy Spider gently on each others backs. I like the cute aspects, as you can see. As always, I greatly appreciate everyone's kind words and emails! I LOVE my followers and readers! I hope you can find something here to use. Leave a comment if you download, por favor. 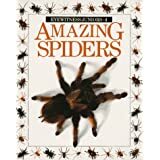 These ABC Spiders can be used as a whole group to practice recognition or to put in order or of course, you certainly could use them as a center. I print them to cardstock and laminate them and velcro to the back so they can be used on the flannel board. Beginning sound match ups to use more of your ink ;-). Cute center or whole group activity. I tried to coordinate it with the first set of Jolly Phonics sounds. Worksheet to correspond with above activity. A good assessment for the second set of Jolly sounds. I love this little book! I have a similar one in my Insect unit. 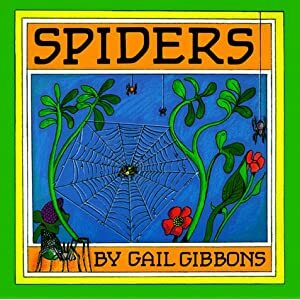 Each student will need one copy of the book and one strip of spiders (5) to glue on each page. Great for positional words! These cards I copy on cardstock and laminate. I will make a few sets so that each one of my table groups can play at the same time. It's usually around October that my Kinder-Hoppers fall in love with sight word finds. I create a table to make the actual word find and use words that correlate to our curriculum, but it is fairly easy to create. Now go open up PowerPoint and create a table word find of your own. Play around with it, your kids will love 'em! The template to this book is just like the one for Brown Bear, Brown Bear. Copy the title page and the last page on to white cardstock. The remaining pages are just copied on regular paper, sequenced, and then stapled to the bottom of the title page. The web page is then stapled behind the title page. Easy Breezy! I can't wait to use this! 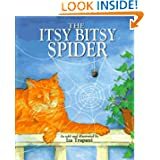 I am going to give each student a copy and then let them use stamp pads and their fingers to create the spiders for each page! After they have the spiders on the web, they will use black markers or colored pencils to give their spider legs and eyes. Great for reading and counting! Simple worksheet to practice writing numbers 1-20. One number goes in each circle. It never fails that no matter how many times we practice writing our numbers, so many students will need additional practice ALL the time! Simple graph to copy, cut, and glue to poster board. Have it laminated. 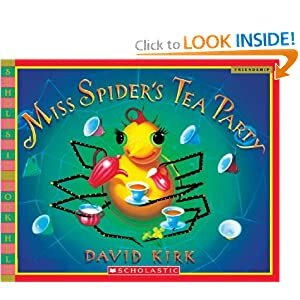 Give each student a spider square, have them write their name on the dotted line, color, and cut. Sticky Tac it to the graph and go over the results. I love seeing how all the boys usually say they like spiders and then we get outside and about half the boys shriek when they see the spiders all over the landscaping in front of our school! Cracks me up every year! Lastly, the every popular I have/Who Has game for numbers 1-24...sorry for all the ink you will use! Print to cardstock and laminate...it will last you a long time! You must, must, must use the Raffi song Spider on the Floor! I bought these cheap wiggly spiders at Target last October, and I give one to each student to use while we do the song. I LOVE watching them and hearing them giggle as we approach the end of the song! 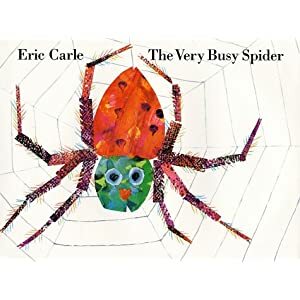 We also sing the Itsy Bitsy Spider, part of our Poetry Journals...after we learn it, students pair up and gently do the song on their partners back. So cute!!! Great for teaching how to gently touch! A teacher on my team always does this, so I have no idea where the original idea came from. Anyway, I make a copy of this house on cardstock and have the kiddos color it. I give them a bendy straw and a spider ring. Tape the bottom of the straw onto the side of the house, so it's like a gutter. Put the ring on the straw and then tape the top down. Now the spider can travel up and down without getting lost. Thanks Shannon! These resources are terrific! Those ideas are all so cute! I don't know how you fit them all into one week! I seem to really overplan for how much I can actually get done! We have been in school for 8 days so far and they are still asking if it is time to go home right after lunch! I miss half day k! Thanks! Fantastic resources, as usual. I'm going to get printing right away. Thanks! Thank you so much! You have no idea how much I appreciate your generosity and creativity! This saves me so much time! I'll be using everything! Thanks!! Thanks so much Shannon--awesome resources!!! We do spiders in a couple of weeks. I can't wait to add some of your items to my unit. Thanks for sharing. Thank you so much for the awesome activities! You amaze me with your talent. Thank you so much for sharing! I will add these to my Spider files :) Thanks for sharing your hard work! Love it all!!! Thank you so much for sharing! Shannon, you always have the best ideas. Thanks for sharing with everyone. Everything is so cute and so useful. OK now I not only am excited about Fall approaching, but halloween also. Such GREAT ideas. Thanx for sharing! WOW!!! Thanks for all the freebies :) We do a spiders and insects unit in the spring and I will def. use some of these with my class! AWESOME as usual! Thanks so much for your willingness to share. I really appreciate it so much. LOVE these resources...amazing as usual! I'm so excited to use these with my kiddos! Come on, October! Thank you! Cant wait to use these with my class! I love them! Thank you! Thanks Shannon! It was so sweet of you to post all these freebies! I know it isn't as much as you offered, but I have an apple freebie on my blog if you would like to check it out! Sort of like trading resources. You are amazing! Thank you for sharing...you have such lucky students. Thanks for sharing! I love the Itsy Bitsy Spider idea with the straw! Great resources! You are amazingly talented. I love all the great resources you have! Thanks for sharing! Oh I love that house with a "gutter"! Brilliant! Thank you for sharing! We are going to do spiders in October! Thank you for sharing. I love these activities now I am looking forward to October. I love the spider activities! Your ideas are always so cute and unique! Fantastic ideas! Thanks for sharing your activities! I just discovered your blog a few days ago. You are so generous with all your hard work. I am really enjoying looking through your posts. Thank you for sharing. Thank you for the awesome things you create!! Thank you SO much for all of the goodies! I am a second year teacher and am still working on figuring out what to do and when. You have become like a mentor to me! Thank you!!!!! Love the spider unit! Thanks for sharing? Also, congratulations!! I just had my first baby boy 4 weeks ago and there is nothing like it:) You are going to be a great mommy!! WOW! Amazing ideas and just in time of collecting some great new ideas for October. Wow! Do you sleep? my spider unit is in November and now i have new versions of many of my old faves! Thanks a bunch! Thanks once again for posting such amazing resources!! I always get excited when I see you have a new post up! I have never done a spider unit before, but now I am excited to do one using several of your ideas!! Really cute and educational activities. I'm supposed to be printing stuff for next week but instead I'm printing spider stuff. Thank you for sharing, I love October and spiders. Take the time to do something fun, you can always find a connection to a standard somewhere!!! Thank you! You are wonderful to share these great resources. I love spiders that are not scary! Thanks for sharing your resources! I just started a job as an ESOL teacher and these will come in handy next month. Thanks a bunch! Thanks for all of the great center activities. They are wonderful. Your blog is my favorite! I teach 1st now, but fell in love with your blog last year when I taught K. I will still use many of your resources! So appreciate how you share them so freely! You are so kind! As always, I love your ideas! :) Thanks!! Have a great week! This is so adorable and will be fun to do! The activities are pleasant but relevant. You are very generous!!! OH my goodness--I can tell its the beginning of the year---I'm a zombie, AND I have strep throat after only 4 days of K!!! Otherwise it wouldn't have taken me 3 days to figure out you posted new stuff. Oh.My.Goodness. I SO love coming to your blog!!! I wish I was planning as far ahead. Maybe now I can get a jumpstart on the month of October!!! Thank you so much for all the super cute ideas! I can't wait to use them. I just found your blog & am so excited that I did. Thanks so much for all of your fun & creative ideas! I actually live down the street from Willow & my boys will be going to school there next year! We'd have LOTS to talk about- I teach at Monee. :) Again, thanks for sharing!! First, just let me say that I recently found your blog and it is my FAVORITE teaching blog! My teaching partner and I now have October planned thanks to your inspiration here. You are truly awesome, and thank you for being so generous to share your resources and creativity. WOW! Thank you for sharing!! You have just made the week of October 24 sooooo much easier! I passed the Versatile Blogger award your way. :-) You've probably already received it, but I wanted you to know how much you are appreciated! Love the position words book! Thanks for posting! Thank you so much for your wonderful posts! I have so many new ideas to use in my kindergarten classroom. I am starting a blog for reasons similar to yours. I hope you will visit and let me know what you think! Thanks for sharing your amazing ideas!! Your resources are fantastic! Thanks again for sharing your ideas with us! Thanks for sharing Shannon! You are so creative and do such a great job with everything you do. I wish I could come teach with you! 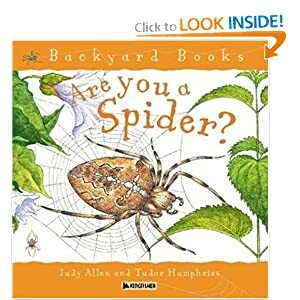 Thanks you so much for the awesome spider ideas :) The kids love this topic so much! Great job on all the printables! Love, love, love your stuff! You have helped me so much with all of your great ideas and your positive attitude! 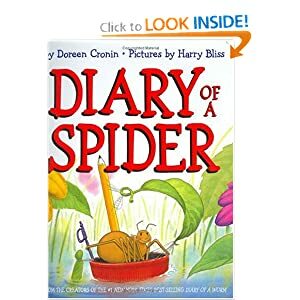 I get so excited when you have posted-- my class is loving your spider ideas-- thank you. Thanks a million for all these wonderful, free resources! You rock! Thanks for all the wonderful spider "stuff." It is great!!!! I can't wait to use these spider ideas with my little guys!! Thank you for your wonderful freebies!!! Hi Shannon. I love your spider unit! I just realized over the weekend that I forgot to comment on the unit. I was downloading all of the attachments really late a few nights ago. I really appreciate all that you give to other teachers. I shared your spider unit & blog with my team and told them how wonderful it is! You are amazing. You are so generous with your ideas and materials. Thank you soooooooo much for your creativity and resources. I just love all your ideas :) Thank you so much for sharing!